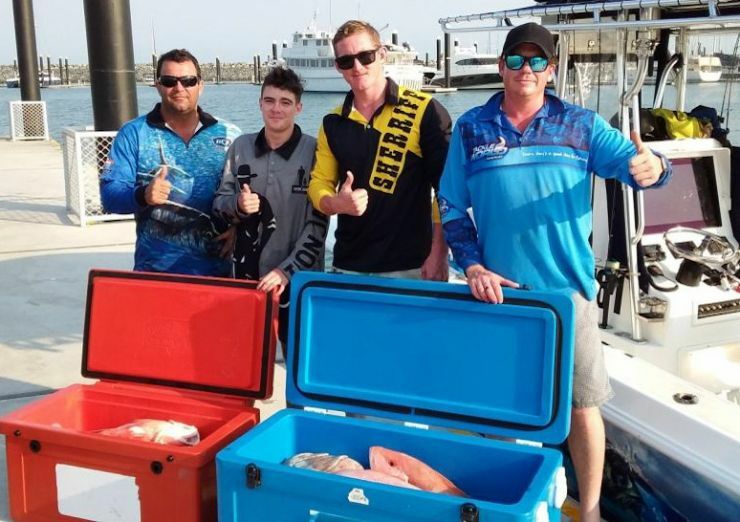 Luckily there was a break in the strong winds during the school holidays to allow teachers Bevan, Nathan, Derek and Lance plus Lance’s son, James to venture wide into the Shipping Channel onboard Action Charter’s 30ft Contender. 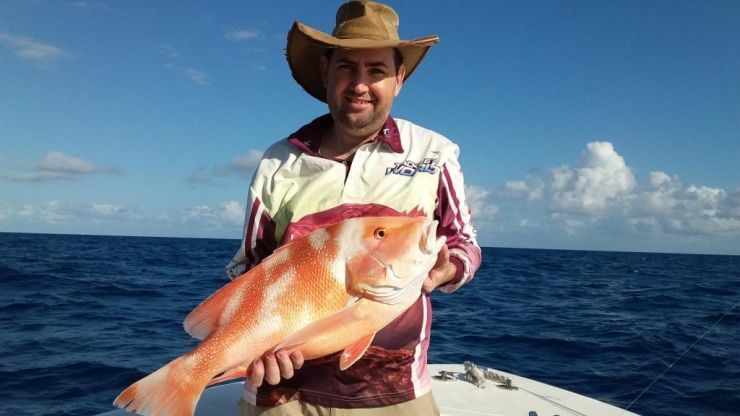 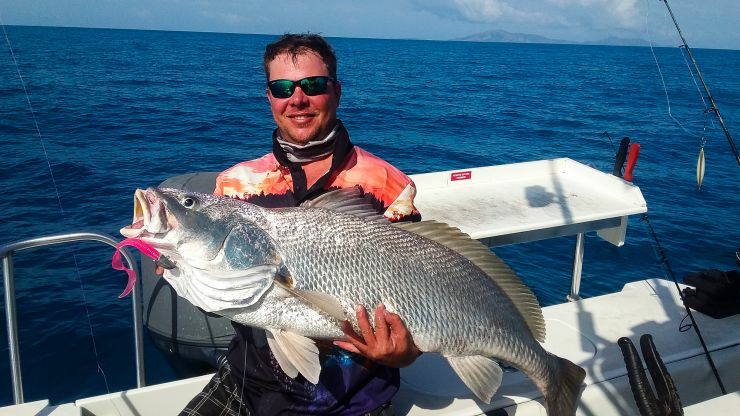 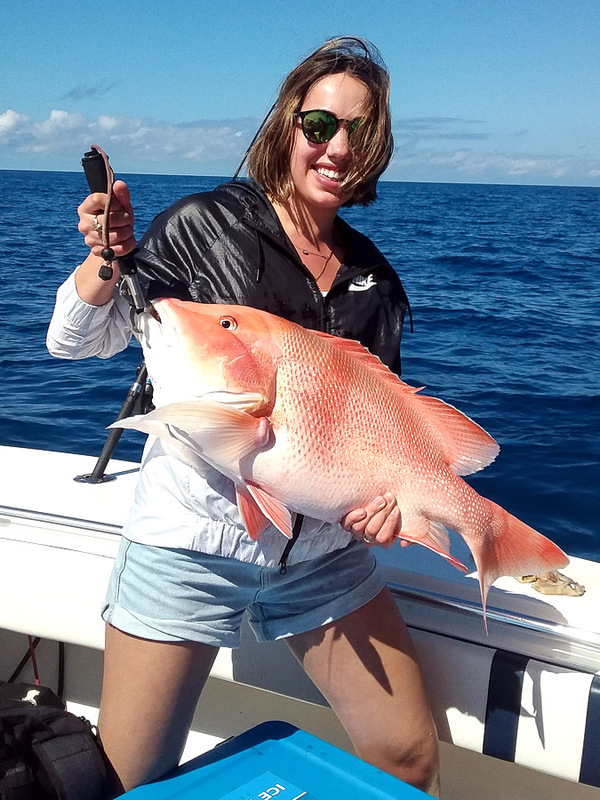 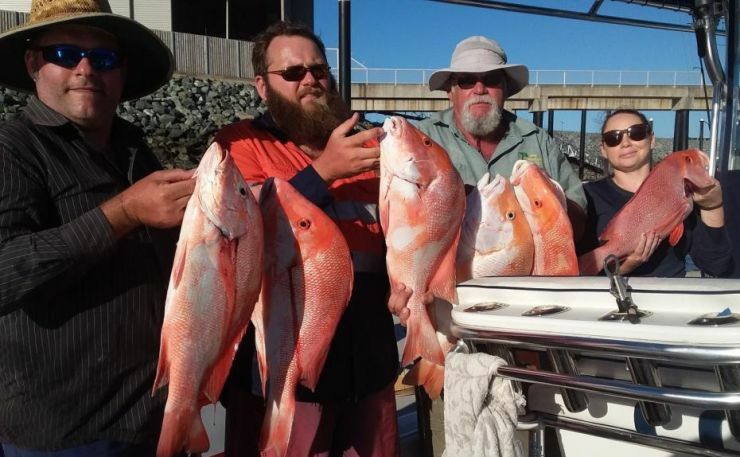 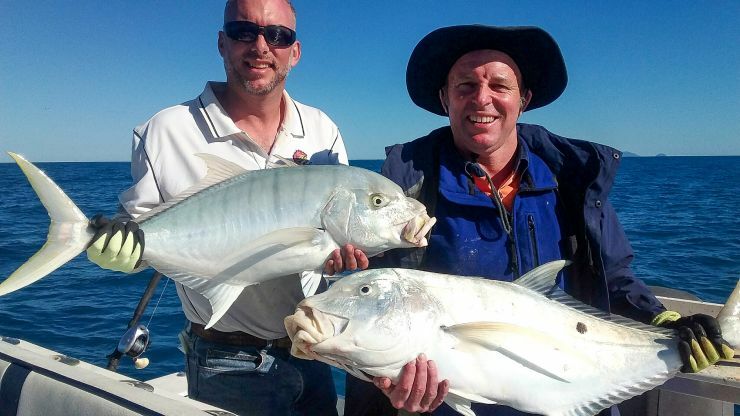 The wind only dropped for one day but it was enough time for Captain Graham Brake to find a quality catch of large mouth Nannygai, Red Emperor and Grassy Sweetlip. 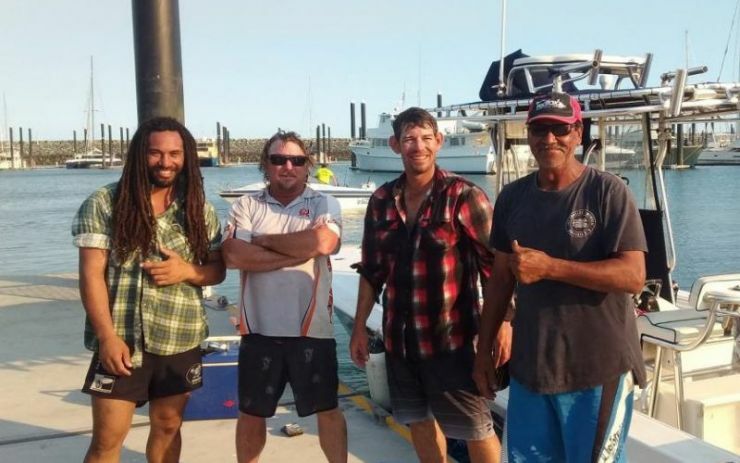 Leaving the Mackay marina at 0600, the boys had lines in the water by 0730 with the catch steadily increasing throughout the day until last lines were called at 1500. 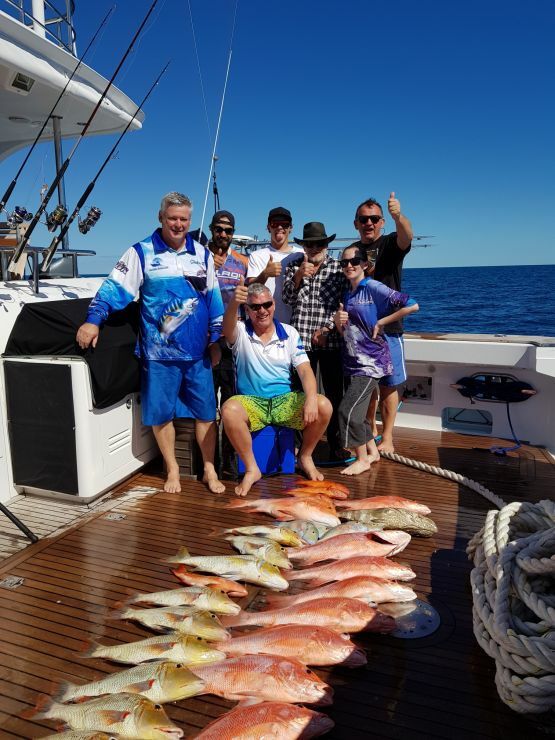 Action Charters look forward to hosting the guys again next time the school kids are on holidays.